Join Ellie Elephant, George and Gillian Giraffe and friends on our bouncy jungle safari adventure. 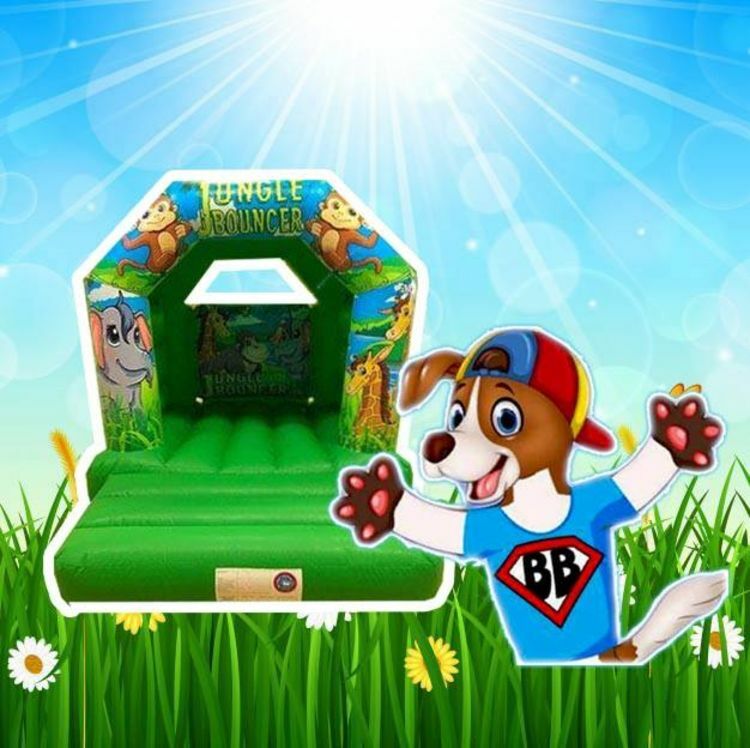 The compact size of this bouncy castle makes it suitable for use in most modern gardens and halls. Why not pair this castle with our soft play set for the ultimate party package.